Pokemon takes a back seat while Mario celebrates with 300,000 copies of the Super Mario Collection sold. After leading the Media Create sales charts for five consecutive weeks, Pokemon Black and Pokemon White’s reign atop the summit has come to an end as they step aside for Mario and his latest Wii offering. Mario Party 2 and Super Bonk highlight the month's lineup of releases. Nintendo has announced their November lineup of classic games for the Japanese Virtual Console. The first of these is the Nintendo 64 title, Mario Party 2. Released December 17, 1999 in Japan and January 24, 2000 in North America, Mario Party 2 includes six themed boards, the ability to practice a mini-game, and new spaces on the board. Mario Party 2 is set to be released on November 2, priced at 1,000 Wii Points. Some video showing the Shop Channel equivalent for 3DS. Part of the presentation at today's Nintendo Operational Briefing showed a video example of the Shop Channel for Nintendo 3DS. Mario, Donkey Kong, Dr. Mario, and utilities such as the Mario Clock are shown in the clean new interface. The video also shows a Super Mario Land video loaded and played from the service. Four games expected around launch, more to follow. 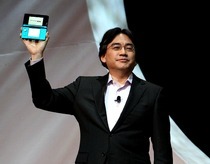 Following Nintendo's Financial Results meeting today, where figures for all of Nintendo's sales and profits for hardware and software were released to investors, a supplementary information document gave a launch schedule for October 2010 onwards, including a preliminary list of Nintendo published games for Nintendo 3DS. Mega Man character designer to leave Capcom and subsidiary Daletto at the end of the month. Keiji Inafune announced today that he will be leaving his position as head of research and development, and management groups at Capcom, and CEO of Daletto, an online games business subsidiary of Capcom effective from the end of October. 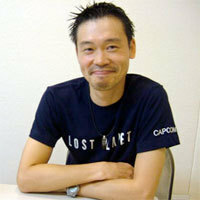 Inafune has been with Capcom for 23 years. Rock Band adds 12 songs from The Doors, and Guitar Hero does the time warp again. This week, the two prominent instrument-based rhythm games add a variety of songs from classic rock bands and popular cult musicals. The creative WiiWare title is now available on the European game service. tons of bits's first WiiWare title, Chick Chick Boom, has been released for WiiWare in Europe and Australia. The title, priced at 800 Wii Points ($8), has players battling enemies by drawing weapons. This is achieved by connecting the dots, then launching it to the enemy's arena. No American release date has been announced, though the title has been rated by the ESRB, receiving an E+10 rating. Check out our exclusive direct feed footage. Aside from some great hands-on time, we were able to record footage from the first six worlds (Jungle, Beach, Ruins, Cave, Forest, and Cliff). Watch Donkey Kong and Diddy ride mine carts, rockets, rhinos, and more mine carts, as well as taking on some bosses in an effort to recover DK's banana stash from the Tiki tribe. The numbers are painted red for Nintendo for the first time in seven years. Nintendo posted a loss of 2.01 billion yen (approximately $2,470,000) for the April through September 2010 period, citing the strength of the yen as the primary factor. Get ready for Sissel's adventures on 01.11.11. Ghost Trick: Phantom Detective is coming to the US on January 11, 2011. After being delayed from a holiday release this year, Ace Attorney creator Shu Takumi's latest creation will be available for Western gamers early next year. The game was released in Japan in June of this year. Capcom also released the official box art for the game today, which we have updated in our game profile. The anniversary pack is finally announced for North America, coming this December. The special anniversary edition Super Mario All-Stars Limited Edition has finally been announced for the US and will be available on December 12 for $29.99. The contents are the same as the Japanese and European versions. The latest Bit.Trip headlines this week's slate of six games. This week sees the release of six games, with two on WiiWare and four on DSiWare. Virtual Console has no new releases. Bit.Trip Fate, the penultimate entry in Gaijin Games' series, is an on-rails rhythm-based shooter. You control Commander Video through different stages using power-ups to defeat the evil Mingrawn Timbletot. Compatible with the Wii Zapper, Bit.Trip Fate is 800 Wii Points ($8). Rock Band 3 players will be able to download the rest of John Lennon's Imagine album soon. Harmonix announced today that the entirety of John Lennon's Imagine album will be one of the first albums available as downloadable content for Rock Band 3. 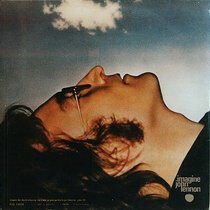 The headline track of the album, "Imagine," is already included on the disc. There are nine other tracks on the album, including "Jealous Guy" and "Gimme Some Truth." The full track listing is below. The voice of Duke Nukem will be lending his distinctive vocals. At a Sega event a short while ago, we were informed that in Conduit 2, Jon St. John will be providing the voice for the protagonist, Agent Michael Ford. Jon St. John is well-remembered for his witty utterances in Duke Nukem 3D where he voiced the titular character. He was also the voice of Big the Cat in Sonic Adventure. The offbeat brawler is also inspired by an anime and a cult '70s Mexican film. 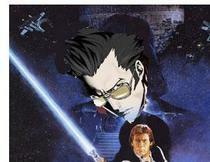 Grasshopper Manufacture head Goichi Suda, better known as Suda 51, revealed some of the inspirations for the company's No More Heroes series. "There were really three films that influenced me during that time and they were El Topo, Jackass and Star Wars, and Space Sheriff Gavan, that anime. OK, I meant four films," Suda said to the crowd at the Japanese launch party for No More Heroes 2: Desperate Struggle, the second entry in the franchise. There is a planned 12 pack coming this December with more on the way in spring 2011. 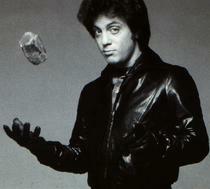 Harmonix confirmed a report that Billy Joel is coming to Rock Band 3 on December 14. 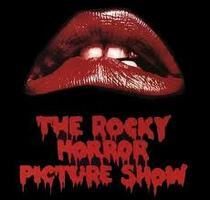 The 12 pack of songs, dubbed the "Hits" pack, will feature songs such as "Piano Man," "Movin' Out," and "Big Shot." It will be followed by a "Piano Challenge" pack, which will include six more songs from Joel. See below for the full list of confirmed songs. Another Japanese release for the Wii with new features. While the Taiko Drum Master games are rarely seen in other territories, within Japan there have been two Taiko Drum Master games for Wii since 2008. 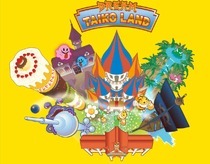 Even though last year’s entry failed to meet the sales of the first Taiko Wii game, Namco Bandai is readying another version of the game, slated for release in Japan later this year. Pokemon keeps Kirby from debuting at the top. Pokemon Black and Pokemon White have held the top spot in Japan for five consecutive weeks, keeping many games from reaching the summit. This week Kirby is forced to sit in the runner-up spot as Pokemon Black and Pokemon White continue to dominate with sales of 168,000, pushing it further past the four million mark. The red Anniversary edition consoles and Wii Remote Plus will be released in November. Four new products are launching from Nintendo on November 7. The first of these is the limited edition Red Wii Bundle for Mario's 25th Anniversary. Again, there is a slight difference to the package for this region with the box containing a red Wii, red Wii Remote Plus and nunchuk, New Super Mario Bros. Wii, and Wii Sports at a suggested retail price of $199.99. The CEO of Level-5 took the idea to Capcom. During the Level-5 Vision presentation for the newly announced Professor Layton vs. 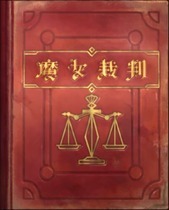 Ace Attorney, Akihiro Hino, CEO of Level-5, said that he was the one who initiated the exchange with Capcom for this particular title.